Do you ever wish masking was easier and less time consuming sometimes? I sure do! While I enjoy spending half an hour with a mask on my face and watch a show or just relaxing, I don't always have the time for that. Sometimes I wish I could get the benefit of a mask in just seconds. 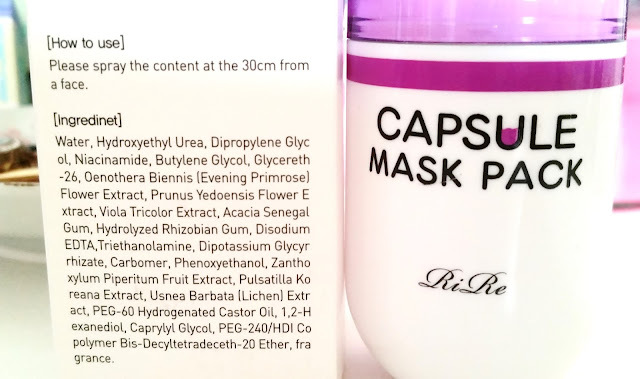 That's what this Rire Capsule Mask Pack promises, but does it actually work? I got this in the 1st Anniversary Memebox I purchased. I have been using it since late spring. It's innovative idea is nice but it lacks in execution. Read on to see why. 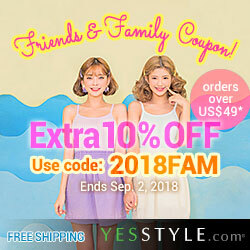 Product Description: An innovative spray-type mask to help nourish and brighten the skin. It can deliver instant moisture to dry and sensitive skin. 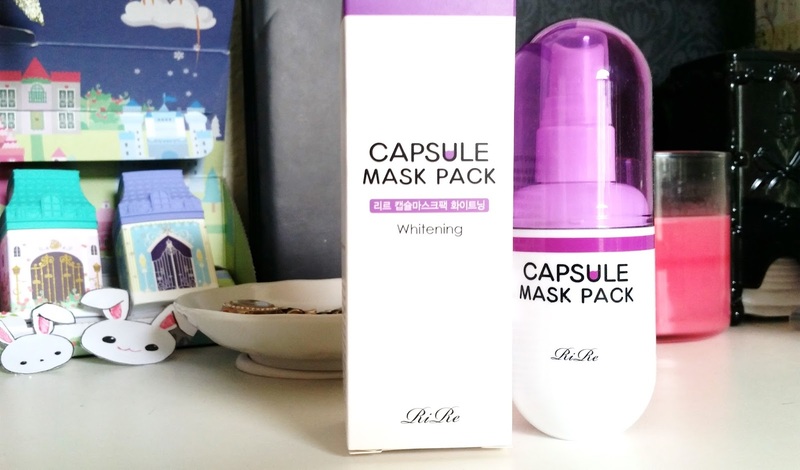 It boasts that it works just as well as a sheet mask but it takes less time to use it. To Use: Spray the mask pack onto the face, reapply when necessary. Make sure to spay at least 30 cm from the face. Ingredients are listed in the picture below. Please do not use if you are sensitive to any of its ingredients. Yup, they spelled 'ingredient' wrong. 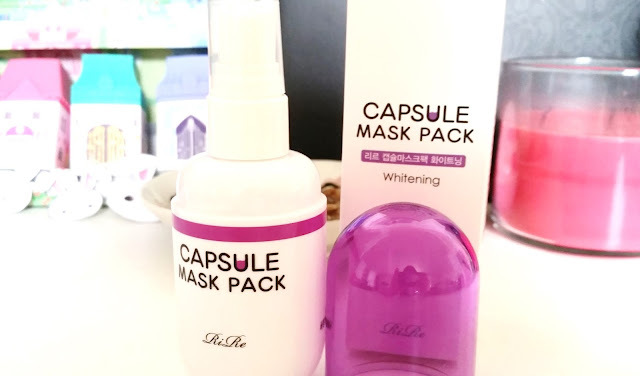 Packaging: Purple and white seems to be the color theme for this product, I think the other capsule mask packs have different colors. 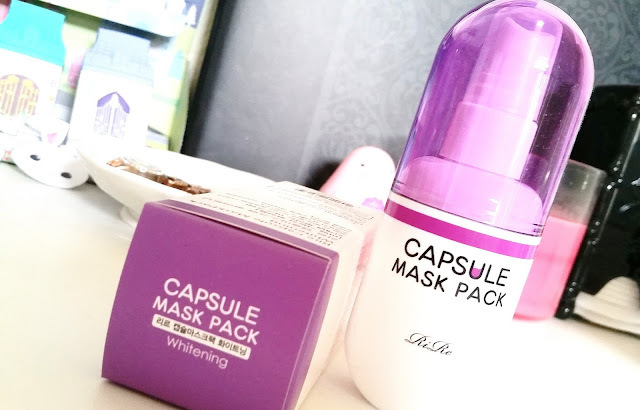 The packaging is kind of unique as the mask pack is in a capsule shape, hence its name. It's got 2 lids, one for the capsule shape and another for the spray top. This product came with an English ingredient list as seen in the picture above. Scent: It's got a delicate floral scent with a light fruity scent in the mix too. Not really strong and smells kind of nice. Color: The liquid inside the mask pack is clear. Texture: It's like most of your sheet mask serums, pretty liquidy. My Thoughts: A spray on mask is an amazing idea and I really hoped it would work amazingly. Unfortunately, this Rire Capsule Mask Pack lacks in execution. Simply put, it didn't turn out as innovating or amazing as the name made it out to be. I feel like it was more of a mist than a mask and it wasn't even a great mist at that. There were many faults with this Capsule Mask Pack, the biggest one for me was the spray top. It felt like it was literally squirting at me every time I used it. It was not a fine spray and I would not recommend using this over makeup. I always, always have to pat and pat and pat some more to get the mask pack mist to settle in. The second down side is the little to none whitening/brightening effects. It was rather disappointing. When I used it every evening during the summer time, there was a tad bit of brightening. My MBD Black Pearl masks does a way better job than this. I feel like it kind of defeats the purpose of the spray on if doesn't really work as well. Finally, the last downside is a combination of potential absorption rate and stickiness. In the fall/winter/spring times it can take quite a bit of squirts for it to feel like this spray-on mask pack really moisturizes the skin. However, when you spray on more than once or twice, the essence might have a bit of a sticky feeling and it can take longer than usual for it to absorb. Now, there is one good thing about this mask pack which is why I used it all summer. I've always like to use masks and sleeping packs year round. However, it's a bit hard in the summer times because my skin likes a less is more approach but still wants all the moisture and benefits. Sleeping packs are usually not the best option and calming my skin every night with sheet masks would be way too much too. However, for the summer times, this capsule spray on mask pack was like an in-between. It delivered moisture to my skin without making it feel like it was too much or too thick for it (about 1 or 2 sprays). I also found that I tend to spray on less of it in the summer because my skin doesn't want all that much. This bypasses the potential absorption issue and stickiness. I ended up using this every night and it was seriously nice for my skin. After continuous use of the Rire Capsule Mask Pack in Whitening, I was able to see a bit of the whitening/brightening effects. It's still not the best though. Final Thoughts: Regrettably, this is not the best mask I've ever tried. While I liked it during the summer times, it's now entered fall and I'm starting to use it less and less. It would have been nice if it came with a fine spray top, but alas, it squirts instead. I wish this Rire Capsule Mask Pack would have worked as well as it sounds. However, now looking at it, I might just have had better luck with a facial mist instead. Would I repurchase this in the future? Probably not. It didn't work that great and I think some of my facial mists work better. Do I think this is worth a try? Not really. I think finding a good facial mist will work. Plus, it seems a bit hard to find this mask pack, it's not even listed on Rire's Korean website. So, I am guessing it was discontinued.